The team at 32 Dental in Kennesaw is known for providing quality care and gentle dental solutions. 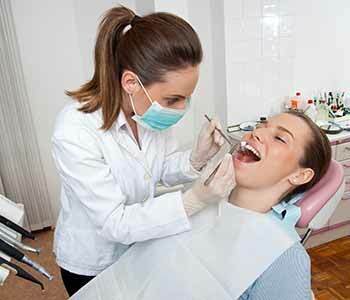 That includes root canal treatment, which patients often – and unnecessarily – fear. In reality, the procedure is not painful, because the area is completely numbed. 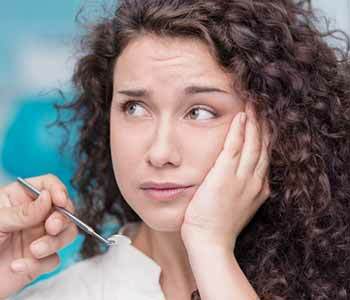 Furthermore, root canal treatment is often the only way to save a damaged tooth. To understand root canal therapy, and why it is needed, we first need to understand the anatomy of a tooth. From the outside, a human tooth looks like a solid object. However, it is actually composed of several layers. The outermost layer is enamel, a very hard substance with considerable resistance to wear and tear. Think of it as the tooth’s protective coating. Beneath enamel is a softer, more porous layer called dentin. The middle of the tooth, surprisingly, is hollow to a great extent. The upper portion contains spaces called pulp chambers, connected to canals in the tooth root that extend to the bone. Inside of the chambers and canals is a mixture of soft tissues, known as dental pulp. It includes nerves, blood vessels, and more. Cavities/decay – Acidic foods, poor oral hygiene, and other factors can lead to the erosion of tooth enamel. Small cavities may be easily repaired. However, without treatment, they become larger and deeper, eventually eating away enamel, and reaching dentin. Because it is softer, it erodes more quickly. If the cavity reaches the pulp chamber or root canal, then the dental pulp is exposed to harmful bacteria and infection is likely. Broken teeth – Similar to deep cavities, a break can expose inner layers to infective microorganisms. Depending on the severity of the trauma, nerves or other tissues in the dental pulp may be injured. Micro-fractures – Maybe you think your tooth is healthy. You might not see any cavities or breaks. However, even the tiniest fracture can create a pathway for harmful bacteria. This may happen due to an oral trauma, such as impact to your mouth. Fractures can also be caused by bruxism (tooth grinding), which often occurs during sleep. Gum disease – Gingivitis, periodontitis, and similar infections occur below the gum line. They open pockets around teeth, exposing the root surface to plaque. Decay, separation of tissue, and other damage can occur below the gum line, where you don’t even see it happening. Since dental pulp is hidden in the middle of your tooth, you can’t look and see if it appears healthy. It takes the trained eye of a dentist, along with advanced diagnostics, to detect injured or infected dental pulp. However, there are several warning signs. 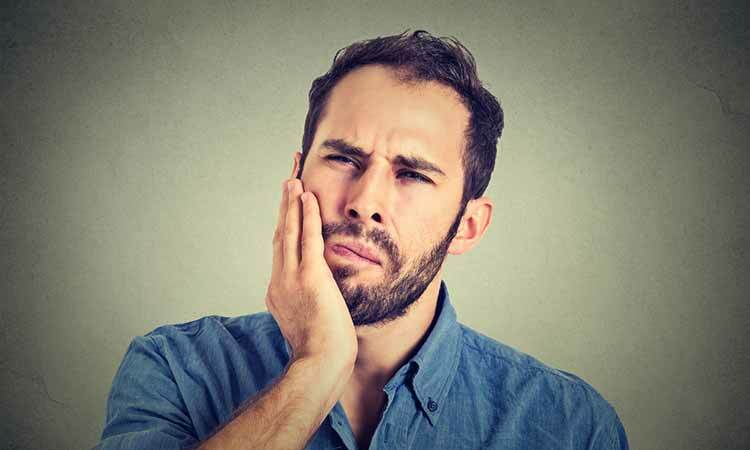 Movement-related pain – Does your tooth hurt or throb when you are extremely active, stand up quickly, or make specific movements? This is a common sign of abscess (infection pocket), which may indicate a root canal infection. Spontaneous pain – When pulp is compromised, you might experience sharp, throbbing, or pulsating pain unexpectedly. This could happen while you are driving, relaxing, watching television, or even trying to sleep. Sores – Ulcers that don’t heal, pus pockets, and other types of mouth sores are often an indication of infection in close proximity. This may indicate gum disease, an abscess, infected dental pulp, or all of these. Referred pain – Abscess caused by root canal infection often makes the afflicted tooth hurt. However, the pain might not be confined to that tooth. It can be referred to surrounding teeth, the jaw, or other facial regions. So, root canal treatment addresses infected or injured dental pulp. You may be wondering just what the procedure involves, and how it can solve your dental problems. Root canal therapy is a straightforward process. It begins with creating a very small opening in the tooth crown, which your dentist uses to access pulp chambers and root canals. The compromised dental pulp is removed, because it cannot be saved once infected or injured. Next, the area is sterilized to eliminate any lingering bacteria, and filled to prevent reinfection. We usually recommend completing treatment with a dental crown, which restores the appearance of the tooth and protects it from further damages. If you are experiencing any kind of dental pain, please call us at (770) 423-1132 and schedule an appointment today.